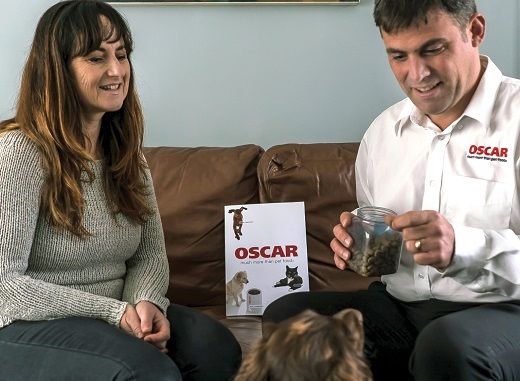 What is a day like in my life as a Nutritional Advisor with OSCAR Pet Foods Franchise? I have to say, every day is different! The beauty of running an OSCAR business allows me the choice of managing my time around days which seem to be full of business opportunities. Work combined with family commitments and hobbies go hand in hand for me, and that's the way I like it! I have found variety makes life interesting and rewarding. My time is spent building my network of contacts and by involving my family it makes for a great work life balance because my role as a Scout Commissioner, and my family's membership with the Scouts, is very committed. Representing the Scouts at this level puts you very much in the public eye and gives me a great platform for getting noticed. I find the combination of Scouts and wearing my hat as a Nutritional Advisor for pets promotes care and responsibility in many different ways. I am keen to work on personal development and selling treats in two local community stores has helped to raise my profile, combined with the extra benefit gained from my COAPE (Centre of Applied Pet Ethology) Ofqual qualification. The value of this nationally recognised status allows me to reach out even more to the public and I have done so by giving talks on pet care and nutrition, adding confidence to my business attributes. "The value of this nationally recognised status allows me to reach out even more to the public." 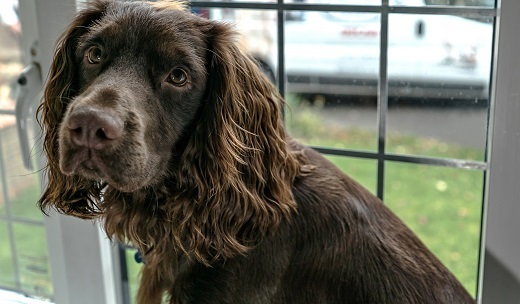 One of my aims for 2018 is to set up a healthy pet club which will help customers see OSCAR as a nutritional advice centre rather than just a purveyor of pet food. As a Canine First Response Instructor I can marry this expertise together and increase my network of customers. Otherwise I am actively making more use of a walk in the park to meet new pet owners, and there's nothing like a pint at the pub to chat to dog owners socially. I guess the saying 'don't work with animals and children' is not for me because both are my business and both give me the chance to get the kids off to school and juggle the rest of each day, working towards leaving the world a better place than when I found it.